The South African Qualifications Authority (SAQA) welcomed the NQF Amendment Bill, saying this was a step in the right direction towards strengthening the NQF Act. Although it was generally satisfied with the Bill, there were areas of inconsistencies and gaps that had not been adequately addressed in the Bill. While the reference to “creating an enabling mechanism” to address challenges regarding fraudulent or misrepresented qualifications was welcomed, it was also very confusing. The definition of “misrepresented qualification” was gravely problematic in its current form. The Bill referred to the establishment of the registers for professional designations, misrepresented qualifications and fraudulent qualifications, as well as the provision for SAQA to evaluate foreign qualifications, and to formulate and publish criteria in this regard. However, there was no classification for qualifications and part-qualifications that were not authentic and may later be declared by a court of law as fraudulent. The Council on Higher Education (CHE) said the Act did not make provision for mechanisms for handling and addressing challenges of fraud and misrepresentation of qualifications. Overall, the CHE welcomed the amendments to the National Qualifications Framework (NQF) as presented in the Bill, saying they were necessary and would strengthen the NQF Act and its implementation. Universities South Africa (USAf) recommended that the potential limiting effect of the Protection of Personal Information Act (POPIA) be considered, as it defined a data subject’s educational status as personal information. USAf believes that this Bill should provide for public access to the National Learner’s Record Database (NLRD) and to the registers of professional designations, so that the veracity of claims to educational qualifications could be checked. However, it believed that the Bill was conceptually weak in confusing qualifications with the documents that certified that a person had earned and been awarded a qualification. While supporting the objects of the Bill, it could not support the Bill as drafted, because it felt it would not achieve much of what it sets out to do and would have adverse unintended consequences for employers, for educational institutions and for SAQA itself. Umalusi stressed that the Quality Councils, as the custodians of the attained qualifications on the respective sub-frameworks, had to be included to verify attained qualifications. In terms of the law, SAQA could not attest to the authenticity in court if they were not the certification body. Umalusi could not issue certificates and have another body exclusively verify them. The Independent Institute of Education (IIE) welcomed the following provisions of the Bill: Verification of all qualifications or part-qualifications by the SAQA; formulation of criteria for evaluating foreign qualifications; the separate register for professional designations; and the offences and penalties relating to fraudulent qualifications. However, key issues requiring further attention included strengthening of the provision relating to registration of private education institutions and the insertion of an offence in relation thereto; and clarity as to whether the register of fraudulent qualifications would be a public record, or if there would be confidentiality, access to it, or removal of the record from the register. It said the SAQA process in respect of dealing with misrepresented qualifications was arbitrary and not subject to procedural fairness, so it was not supported by the IIE. Clarity was also required in respect of reporting to the SAPS. Absa was not opposed to the intention of the Bill. It was supportive of implementing punitive consequences for fraudulent qualifications submitted by candidates and unregistered institutions, as integrity was a core value of its business. The University of Johannesburg raised a number of concerns. It said the proposed amendments inserted SAQA into a legal problem for which the common law already had a solution; would directly and negatively impact on already lengthy turnaround times; would place an unreasonable burden on employers, institutions and individuals; would add an exceptional burden to the system, with multiple steps prior to achieving the objectives; create legitimacy concerns where none currently existed; contradict the Recognition of Prior Learning (RPL) policy of the State; and would create additional delays, not sustainable for employability and academic transfer. SAQA said it welcomed the NQF Amendment Bill, as this was a step in the right direction towards strengthening the NQF Act. Generally, it was satisfied with the Bill. There were, however, areas of inconsistencies and gaps that had not been adequately addressed in the Bill. Paragraph 2.1 of the Memorandum on the Objects of the National Qualifications Framework Amendment Bill, 2018, refers to the Bill “creating an enabling mechanism” to address challenges regarding fraudulent or misrepresented qualifications. While this addition was welcomed, it was also very confusing. The definition of “misrepresented qualification” was gravely problematic in its current form. While SAQA’s role was clearly spelt out in terms of what to do when a misrepresented qualification had been detected, the Bill was silent on what happened when a qualification that was not authentic had been detected. Who was responsible for reporting this to the South African Police Services; how would the National Prosecuting Authority (NPA) know that the case should be prosecuted; and what would SAQA do with the information on qualifications that were not authentic in the interim period? SAQA was expected to act only after a court of law had declared a finding of fraud and decided on an appropriate penalty. This was reflected in section 32A(2)(b) of the Bill. Section 31A therefore needed to be revised, and the definition of a “misrepresented qualification” be amended to address the apparent current gap. Paragraph 2.2 referred to the establishment of the registers for professional designations, misrepresented qualifications and fraudulent qualifications, as well as the provision for SAQA to evaluate foreign qualifications, and to formulate and publish criteria in this regard. SAQA welcomed these inclusions. SAQA’s only concern was around establishing a sustainable mechanism for receiving feedback from the NPA or the Department of Justice about cases that had been prosecuted, for inclusion in the register of fraudulent qualifications. Paragraph 2.3 was about the Quality Councils, in consultation with SAQA, advising the Minister on matters pertaining to the sub-frameworks. SAQA welcomed the inclusion of clause 27f and recommends that a reciprocal clause be included under section 13 (Functions of SAQA). More detail was provided under the specific comments for section 13 below. Information about individual learners was protected by the privacy laws of the country, including the Protection of Personal Information Act (POPI Act) amongst others, and was therefore not available to the public, unless the individual learners gave permission to access such information. Qualifications and part-qualifications were recommended by the Quality Councils to SAQA for registration on the National Qualifications Framework (NQF). The SAQA Board approves the registration of these qualifications and part-qualifications before they are registered on the NQF. The NLRD contains the list of all registered qualifications and part-qualifications, with details about which providers were accredited to offer them. There was currently no classification for qualifications and part-qualifications that were not authentic and may later be declared by a court of law as fraudulent. What did SAQA do with these qualifications in the interim? The definition of “misrepresentation” did not include qualifications that were not authentic. How would the court of law pronounce on these qualifications? Whose responsibility was it to report these cases to the SA Police Service (SAPS)? What would the charge be? The Amendment Bill needed to be strengthened in this regard in order to be implementable and to clarify matters. SAQA was of the view that the definition for misrepresentation should be re-visited to include the category of qualifications and part-qualifications that were not authentic. (See comments under “Definitions” in the section below for SAQA’s recommendation on a revised definition for “misrepresented qualification or part-qualification”). SAQA also did not understand why professional bodies only needed to be informed, as not all qualifications articulated to designations. SAQA therefore recommended that a more generic statement was made about SAQA providing access to the Register of Misrepresented and Fraudulent Qualifications to the relevant stakeholders, which may include but was not limited to, professional bodies. To invest in proper information technology (IT) infrastructure and IT staff with relevant skills in order to automate processes where possible, and develop the capabilities of the NLRD (including processing power) for better analysis and reporting. SAQA was grateful for the opportunity to have commented on the NQF Amendment Bill and looked forward to its promulgation. Dr B Bozzoli (DA) said that the Bill was over ambitious, not well thought through and cumbersome, and she found the whole Bill in general incomprehensibly ambitious and over-costing. Despite the emphasis made that SAQA had the will, positioning, etc , no mention had been made as to the funding aspect. She would like a serious response by SAQA after the other delegation members had presented, as they had just not convinced her. Ms J Kilian (ANC) said that in principle the idea was not a bad one, to have the legislation as framework legislation, and to have the details of regulations and so forth. Clarity was sought on the feeling for the legal authority of the function fulfilment, to avoid legal costs. She emphasised that in wanting section 13(1)(a) and 13(1)(b) to be removed, did SAQA have a policy to deal with that, as the concern was that removing the sections would defeat the purpose of giving SAQA the legal obligations? Mr C Kekana (ANC) said that he too was struggling to grapple with the comprehensibility of the Bill. He wanted to know how sure SAQA was that all qualifications from the various different universities were recognised equally and were the same. Mr M Wolmarans (ANC) said that generally the institutions did not have any problems with the Bill, and what he had picked up was that many issues raised were related to definitions and time frames. He wanted to know what was applicable to Section 13(1)(a) and 13(1)(b), and what the current status in terms of their operations was, regarding those two sections. Ms S Mchunu (ANC) said that she shared the same points as her colleagues on how SAQA would use the Amendment Bill. She wanted to know what the implications and harm of section 32A could be. A SAQA official responded that there had been no arguments to be the sole verification agency in their submission. However, what they had said was that they needed to make the distinction between the qualifications registered on the one hand and the award of the certificate on the other. They received the personal information of people, which was protected in a particular way under legislation, but the qualification and credits information was publicly available on their website, which allowed for other bodies to verify whether the qualifications were legitimate or not. In response to the question about the policy, he said that SAQA published a draft policy in January 2016, in which they had received all public comments. He emphasised, however, that they had kept that policy and had not moved forward on it, as there was no legislation available to cover it. In terms of the questions relating to section 32A and so forth, SAQA did not believe it needed to be removed, and were rather focusing on the more detailed aspects, such as section 13. Professor Narend Baijnath: Chief Executive Officer (CEO): CHE, said the main purpose of the Bill was to eliminate some inconsistencies, and to fill in the gaps in the NQF Act. One such was that the Act did not make provision for mechanisms for handling and addressing challenges of fraud and the misrepresentation of qualifications. Insertion of new clauses that provide for the referral to SAQA of all qualifications presented for study, employment and appointment to bodies and structures for verification. Insertion of clauses that make it a punishable offence to award and/or obtain qualifications fraudulently, as well as to misrepresent qualifications. Addition of a requirement for the Quality Councils to consult with SAQA in providing advice to the Minister. Insertion of new clauses making provision for Quality Councils to accredit institutions that comply with requirements to offer qualifications or part qualifications. Formulate and publish criteria for the evaluation of foreign qualifications. Overall, the CHE welcomed the amendments to the NQF as presented in the Bill, and also notes with appreciation that most of the comments the CHE provided in an earlier opportunity had been addressed and/or incorporated in the revisions. The CHE believed the amendments were necessary and would strengthen the NQF Act and its implementation. The CHE appreciated the new provisions that seek to empower SAQA and the Quality Councils with the necessary authority to handle and address matters of qualifications fraud and misrepresentation. The amendment made it mandatory for the Quality Councils to consult SAQA when providing advice to the Minister on matters about the sub-frameworks of the NQF. This meant that the CHE, for instance, would have to consult SAQA any time it intended to provide advice to the Minister on matters relating to the Higher Education Qualifications Sub-Framework (HEQSF). The CHE had been providing advice directly to the Minister on any matter that related to HE, including the HEQSF, in line with Section 5(1) of the HE Act. Requiring the CHE to consult with SAQA when providing advice to the Minister on matters about the HEQSF, was a serious change in the remit, as well as the modus operandi of the CHE. It was the view of the CHE that this change would be unnecessary and may have a stifling effect on the robust and diverse views presented to the Minister for her/him to have due regard of. This change would also cause delays in the advice processes by adding another layer on top of the CHE’s own governance processes – it was overly bureaucratic and onerous. It would also dilute the autonomy of the CHE and its authority on HE matters, including the HEQSF. The CHE therefore requested that this amendment be removed altogether. The “System of Collaboration Framework” was already in place to regulate the working relationship between SAQA and the Quality Councils, thus making this particular amendment to the Act superfluous in the CHE’s view. Some of the recommendations in the final report of the NQF Act implementation evaluation (2018) were about other required amendments to the NQF Act. One such recommended amendment, which the CHE agreed with, was that the objectives of the NQF needed to be restated more clearly (Section 5 of the NQF Act). Since the report had already been accepted by the DHET, it was just a matter of time before another process of amending the Act commenced. This meant there would be two processes of amending the Act in quick succession. It would be less confusing and less disruptive to the education and training system if all envisaged amendments to the NQF Act were to be conducted in one process, rather than in two processes undertaken in quick succession. All the amendments be implemented in one process. The CHE welcomed most of the amendments to the NQF Act, as presented in the Bill. Most of these amendments were necessary, in particular, to assist in dealing with cases of fraudulent and misrepresented qualifications. One area of concern, though, was the amendment that would require the Quality Councils to consult SAQA in the process of advising the Ministers on matters about the sub-frameworks. For the CHE, this would disrupt a long-standing good practice, based on the HE Act, of providing advice directly to the Minister with far-reaching implications on the autonomy of the CHE. Another concern was that it was likely that there would be another amendment process soon after the finalisation of this current amendment process, because of the recommendations in the final report of the NQF Act Implementation Evaluation (2018). The CHE believed that it would be less confusing and less disruptive to the system if there was only one amendment process. Ms Kilian said that she wanted to know, as the CHE had stated that there were a few grey areas because their mandate had been taken from two different sets of legislation, if were there any additional recommendations that they wanted to have included in the Amendment Act. Secondly, if they were concerned about the original act, which did not have the clause referring to the CHE consulting with SAQA, she wanted clarity when she looked at the original act that there was provision for collaboration -- and it was only in sub (f) of 27(f) -- would they be more happy if the “in consultation” was changed to “after consultation,” as there were an obvious different meaning to it. Lastly, did they foresee any additional financial burden on the CHE resulting from the amendment proposed in the Bill. Dr Bozzoli asked for more elaboration on the autonomy of the CHE -- where it came from and how it would be affected. Prof John Mubangizi, Chairperson: CHE, responded that the CHE believed that the “in consultation” part would not be workable and was a grey area in terms of the NQF Act. He explained that they were aware that it superseded the Higher Education Act as it related to the mandate. Inquiries and research was done based on stakeholder input, and the CHE believed they would run themselves into a problem. They thought that a collaborative way was the way to go and if that was not working well, then they would need to fix that. The “after consultation” part had a different meaning, but the CHE felt they already had a collaborative arrangement and therefore needed to fix it. Mr Baijnath explained that the autonomy of the CHE was derived from the Higher Education Act, and the CHE tried to maintain that autonomy as much as possible, as the CHE was mandated to work independently without fear or favour, and to be fair within their expertise of higher education. Regarding the cost implications, it was further explained that with the registering of institutions, there would be a process and a need for the required capacity, additionally putting another burden on institutions to comply with. Currently there was an accreditation process at the programme level that was already demanding and onerous. The CHE was in the process of instituting the next cycle of institutional audits and was piloting it with institutions in the current financial year, with the new cycle starting in the next financial year, which formed their evaluation instrument to assess the quality of institutions. Regarding autonomy, section 5(1) of the Higher Education Act gave a very broad remit to the CHE, as it stated that “the CHE may advise the minister on any aspect on higher education on its own initiative”. Section 5(2) stated that the advice contemplated in subsection 1 included advice on qualifications, quality promotion and quality assurance,etc,. However, nowhere in the Act did it subordinate the CHE to another body that mediated the advice to the Minister. In their view, the Minister should be in the position to have all the necessary advice and information, which included opposing advice, in order to make the necessary decision, to the benefit of good advocacy of authority and good governance. The Chairperson said that she did not understand how the CHEs autonomy would have been taken away if the Minister had conversations with others. The Minister had consultations with various people every day -- some she would make public, and others not. She asked for clarity as to how that would take away from what the law prescribed the CHE to be. Mr Baijnath replied that had the instrument of consultation been working properly, then there would not be a need to amend the Act. There were several bodies, each with distributed and fragmented authority, which ultimately led to a slow process, and to add another layer would lead to even slower mechanisms. He emphasised that the Minister was allowed act without the advice of the CHE on urgent matters, and that posed a concern, as the CHE had its own internal processes for providing advice to the Minister. The section which allowed the Minister to act on his/her own accord in urgent matters would inevitably open the doorway to the Minister acting completely without the advice of the CHE on every matter of concern. Place SAQA at the apex of the NQF by ensuring that advice on the NQF by QCs (CHE, Umalusi and the Quality Council for Trades and Occupations) was given in consultation with SAQA. USAf recommends that the Portfolio Committee consider the potential limiting effect of the POPI Act, which defines a data subject’s educational status as personal information. USAf believes that this Bill should provide for public access to the NLRD, and to registers of professional designations, so that the veracity of claims to educational qualifications can be verified. USAf believed that the Bill was conceptually weak in confusing qualifications with the documents that certify that a person had earned and been awarded a qualification, i.e., with certification; and that the requirement that “employers, education institutions, skills development providers and QCs” check that every qualification presented to them “for the purposes of study, employment, appointment or any other related purpose” was registered on the national learners’ record database and, if not, refer the qualification to SAQA for verification or evaluation, was simply not workable and would be ignored. Professional bodies maintained records of the holders of those who had qualified to use professional designations. Shifting this responsibility to SAQA would be an unnecessary duplication, and would lead to confusion between professional designations on the one hand, and qualifications (as defined by the NQF) on the other hand. Professional bodies had their own disciplinary processes and may remove a person from their registers. The Bill contained no mechanism for ensuring that the NLRD data on who held a current professional licence was up to date. Qualifications obtained dishonestly and subsequently withdrawn. Institutions, organisations or individuals that issue/sell bogus qualifications (i.e. ; degree mills). The contention of USAf was that the Bill as drafted did not cover most of these. The provision requiring every employer to refer qualifications of employees to SAQA for “validation and verification” was likely to be ignored by employers. If not, it would create an administrative nightmare for employers and for SAQA, which would have to validate and verify each claimed qualification. The proposed S38B created a parallel onus for educational institutions in respect of the qualifications claimed by applicants for admission. A similar process would be required of admissions officers at universities when considering applications from prospective students from foreign countries. Universities had accepted processes for obtaining transcripts of academic records direct from the institutions that had awarded the qualifications. If the Bill was enacted, universities would have to have these qualifications submitted to SAQA for verification and evaluation. Nothing would be gained in the process. Where the applicant for a place of study claimed a South African qualification (e.g., a recent graduate seeking to undertake postgraduate work), the admissions officer would be required to check on the NLRD. However, but the time lapse between the award of the qualification and updating of the NLRD by the awarding higher education institution (HEI) -- submissions were made via the DHET by 31 July of the year following the award of the qualification -- would be such that the NLRD would not have been updated by the time that the admissions decision was made. Where the claimed qualifications were awarded by a legitimate public university/technikon/technical college, or by one the departments of state that awarded the senior certificate or the junior certificate, prior to the establishment of the NLRD, the process envisaged by the Bill may be extremely difficult to undertake. It was the case that departments of state did not have good records of pre-1994 certification. The proposed S32B(7) requires a court to consider prejudice suffered (by an employer) or gain obtained (by the fraudster); it seemed to USAf that potential prejudice and potential gain should also be considered, as the sanction should follow early detection as much as subsequent detection. The proposed s13 (1B) allows the entry of a qualification into the register where it is found to be a misrepresented qualification, or where a court finds that it is fraudulent. This, because of the definition of misrepresented qualification, did not seem to provide for a bogus qualification to be added to the register. The proposed s32A requires employers (and others) to check whether a claimed qualification “is registered on the” NLRD and “if not, refer such qualification” to SAQA for verification or evaluation. This was an example of terminological confusion. The test should be two-fold: first, was the qualification registered on the NQF/ NLRD; second was the applicant’s claim to have it, supported by the NLRD records? The draft ignores the second, crucial test. And while it specifies what was to be done when the qualification was not registered, it says nothing about the absence of a record confirming the applicant’s claim to have a registered qualification. However, the Bill gives no indication as to what “other related information” meant. It was vague and may be void for vagueness. It also does not indicate how SAQA would obtain this data and keep it up to date in such a way that the requirements in year “n” related to those who obtained it in year “n” and were distinguished from those applicable to year “n + m”. While supporting the objects of the Bill, USAf could not support the Bill as drafted. It believes that it would not achieve much of what it sets out to do, and would have adverse unintended consequences for employers, for educational institutions and for SAQA itself. USAf therefore submits an alternative Bill for the Committee to consider. Dr Bozzoli thanked USAf for a helpful presentation. She had wanted clarity as to whether USAf meant the bill as it stood should be fundamentally amended or withdrawn; and when USAf stated they did not support the Bill, she wanted to know if that meant they would support it if it were to be amended. She wanted to know what exactly USAf was proposing as a whole. Ms JD Kilian said that she welcomed the attempt by USAf to stipulate that the Bill, as it stood, would not achieve its objectives and have unintended consequences. The elaboration on definitions for specific types of bogus qualifications was helpful, and It would be certainly looked at. Since USAf were working in the university/ higher education sphere, were they aware of any measures in other jurisdictions which had been implemented to defeat the attempts at bogus qualifications, as in modern times one could literally buy qualifications off the internet. She wanted them to look into that. She added that in South Africa, there had been universities that were in the media for the wrong reasons, and some officials even sold qualifications. There ought to be collaboration between SAQA and the universities for the protection of the NQF. Mr Kekana wanted clarity about the comment that some professionals could claim to hold qualifications they did not have. He said that with formal companies, a qualification check was part of the interview process. However, how would one distinguish a doctor with a qualification from one who did not, as any person could buy a stethoscope and white coat and could call him or herself a doctor? Qualification checks amongst locals were easier, as everyone knew everyone in communities, but the problems would arise with foreigners. He wanted to know what was being done to assess and determine legitimate qualifications from fraudulent ones amongst foreigners. Mr A van der Westhuizen (DA) said that despite the use of alternative wording and clauses that were submitted to be considered in the amendment, he failed to pick up how USAf addressed the time delay between the achievement of the qualification and the registration of the database, as that was the time when people were looking for jobs. They started as soon as they had achieved their qualification -- some even before they had achieved it fully. He wanted to know what the approach was between the time delay of the qualification and the communication to external bodies. Ms Mchunu said that they were raising important factors that had not been considered at the time of the drafting of the legislation, which needed to be complemented but also infused with what was already there in the amendment bill. The Chairperson wanted to know what clause in the POPI Act USAf had been referring to which would be in conflict with the amendment Act. The submission which USAf had made did not deal with the bottlenecks, and she asked if it could be dealt with. Universities offered honorary degrees to people, and she wanted to know how one would verify someone claiming an honorary degree. Dr Mabizela, responded that in his opening comments, he had clearly indicated that USAf welcomed and supported the amendment bill. The critique given and put forward was to support the amendment, by enhancing the quality of the bill. It would have been presumptuous on his part to advise the Committee to ignore the current bill -- it was not his place. All that USAf did was to give a submission in order to enhance the current bill where gaps existed, and objectives which were not being met or could lead to consequences. He referred to the question around the practice in other countries, and said such an exercise had not been done to a full extent, but institutions generally had their own systems in place within the organisation to ensure that some kind of verification existed. Other countries had legislation that existed, such as that dealing with diploma mills in the United States of America, where running registrations were kept, which dealt with a lot of bogus qualifications and was one of the ways that one jurisdiction dealt with the problem. The issue of how to distinguish between foreigners and locals claiming to have qualifications which they did not have, had to be dealt with in the same manner as criminals. People needed to be called out where suspicions arose and asked to submit proof of their legitimate qualifications. The issue of the time delays, required institutions to convey and correspond with the various bodies. He explained that universities provided students with a degree when they graduated, along with a transcript. Companies could request the transcript directly from institutions, and that process worked within a good time period and was efficient. The issue of bottlenecks would be best addressed by people using alternative means of verification, direct from institutions. Regarding honourary degrees, it was clear from institutions in their statute that the holder possessed the degree only in an honourary status, and it could not be used in any other capacity. Different universities had different traditions and methods to address an honourary degree holder -- some referred to them as Doctor, while other universities did not. Umalusi said that the Quality Councils, as the custodians of the attained qualifications on the respective sub-frameworks, must be included to verify attained qualifications. In terms of the law, SAQA could not attest to the authenticity in court if they were not the certification body. Umalusi could not issue certificates and have another body exclusively verify them. Verification was an income stream for Umalusi (General and Further Education and Training Quality Assurance Act (GENFETQA) Act 58 of 2001, as amended, Section 13 (1) (c)). The proposal for revision was to amend the National Qualifications Framework Act, 2008, so as to amend and insert certain definitions; to provide for the verification of all attained qualifications or part-qualifications by the SAQA and the QCs. In Section 1, line 8, Umalusi’s comment was that only attained qualifications could be verified in terms of authenticity. Its proposal for revision, in relation to a qualification or part-qualification, was to include “an attained” qualification or part qualification. In Section 13 of the Principle Act (iv)(a), the word “attained” should be inserted after the word “all”. Reference here was to the achieved/obtained qualifications and part-qualifications and not the qualification itself. Regarding paragraph 32(A), it commented that if the attained qualification was not registered on the NLRD, the relevant QC must ensure and verify that the said attained qualification was indeed issued in order to be submitted to the SAQA for registering on the NLRD. Its proposal for revision was: (1) Except for those categories of employees who were specifically exempted from the provisions of this section by the Minister by notice in the Gazette, all employers, education institutions, skills development providers and QCs must check if the qualification or part-qualification which was presented to them for purposes of study, employment, appointment or any other related purpose, was registered on the national learners’ records database and if not, refer such qualification or part-qualification to the SAQA or the relevant QC for verification or evaluation. Umalusi said it was not clear what “offering a qualification” entailed. Did it include all aspects, such as administration of learners, facilitation of learning, assessment and certification, or only one or more of them? A clear definition of “offering” was needed. A decision on whether an offering was a foreign or local qualification could not be determined by the place where the learner did the learning, but by the body that drew up the curriculum and did the quality assurance and the assessment, and certificated the learners. The Independent Institute of Education (IIE) said that as a private higher education institution registered by the Department of Higher Education and Training, it had a legitimate interest in the NQF Amendment Bill. It offered more than 60 programmes from Higher Certificate to Master’s degree, registered by SAQA and DHET and accredited by the Higher Education Quality Committee (HEQC) of the CHE. It operated nationally across 20 sites (or campuses) organised into three educational brands, Rosebank College, Varsity College and Vega. Verification of all qualifications or part-qualifications by the SAQA. Formulation of criteria for evaluating foreign qualifications. Separate register for professional designations. Referral of qualifications and part-qualifications to SAQA for verification and evaluation. Offences and penalties relating to fraudulent qualifications. Strengthening of the provision relating to the registration of private education institutions and insertion of an offence in relation thereto. A register of fraudulent qualifications supported by the IIE, but further provisions were required, such as providing for clarity if this register would be a public record, confidentiality of the record, access to it, removal of the record from the register, etc. The SAQA process in respect of dealing with misrepresented qualifications was arbitrary, if not subject to procedural fairness, and was thus not supported by the IIE. Clarity was required in respect of reporting to the SAPS. Regarding the form of the Bill, the IIE proposed that repetition of the clauses e.g. s4 (e)(1B) repeated at s7 at 32 (A) (2) (b), should be remedied. Attention had to be given to the organisation of the clauses of the Bill. There was also ambiguity and vagueness in certain provisions, such as definition of “authentic”, “fraudulent qualification and part qualifications”, “misrepresented qualification and part qualification”. It made comments on specific provisions of the Bill. The definition of ‘authenticity’ ‘authentic’, ‘fraudulent qualification and part qualification’, and misrepresented qualifications or part qualifications, were vague, inadequate, open ended and confusing. These definitions needed to be reworked so as to provide clarity on the concepts which they seek to define in the Bill. (3) Every private education institution or skills development provider offering education and training programmes or any component thereof towards a qualification or part qualification must be registered by the relevant Department [as a private education institution or skills development provider] in terms of applicable law and accredited by the relevant QC to offer such qualification or part qualification. The word “Department” was not defined in the principal Act and the Bill. Also, while the Minister was defined in the principal Act as Minister of Higher Education and Training, the word Department could not be taken in the context in which it was used above to mean Department of Higher Education and Training. The provision was broad, such as to include independent schools which fell under the Department of Basic Education, but which were registered by the Provincial Education Departments. The insertion of the word “relevant” prior to “Department” in the above section of the Bill remedied the lacuna which it had identified. Further, the private education institutions were registered in terms of their applicable law, so it was necessary to include this part in the above proposed provision of the Bill. For instance, the independent schools were registered in terms of the South African Schools Act, 1996, and the private higher education institutions were registered in terms of the Higher Education Act, 1997. The IIE proposed the insertion of the definition of private education institution under 1(a), should the above section be inserted. This would be necessary to strengthen the interpretation of the Act. Section 4: Amendment of Section 13 of the Act. The IIE welcomed the insertion of (1A) (i) requiring the SAQA to maintain a separate register of professional designations, and m (iii) requiring the SAQA to formulate and publish criteria for evaluating foreign qualifications. a qualification was obtained within a very short period, in less than the prescribed [national] notional hours on an average qualification. The content in the Bill as relating to fraudulent qualifications and part qualifications may be best dealt with if organised in a separate chapter. For instance, name Chapter 7 “Fraudulent Qualifications and Part Qualification,” and then organise all relevant provisions in the Bill under this Chapter. This meant that the current Chapter 7 would become Chapter 8. The Bill should deal with matters relating to the confidentiality of the register and clarify how the register may be accessed or disclosed. The Bill should clarify what the purpose of the register is -- what would be achieved by setting up such a database at the SAQA of fraudulent qualifications or part qualifications. The Bill dealt with the content of the register in (1B). However, the Bill needed to define what was meant by the “certificate mill” in section 4 (e) (1B) (f). It also needed to clarify the details that were vague. For instance, did the “holder of the qualification or part qualification” refer to the institution or the person that would have defrauded the document? What did the Bill envisage by (b) description of the document concerned? This was too broad, such as to be vague and thus difficult for SAQA to implement or to be consistent in ensuring the implementation of this section as a result of the vagueness. The Bill should make provision for inquiries to be made to the SAQA on the register for any person, to establish whether her or his name appears on the register, and provision of a process if an erroneous entry is found. It needed to provide clarity on the consequences of entry of a person or institution into the Register. It also had to provide for the removal of an entry from the register -- the expungement of the record. For instance, a provision may be made in the Bill for any person to apply to SAQA after a certain period, such as three years, for the removal of their name or particulars from the register, and for circumstances in which a person may not be removed from the register. The definition itself in section 1 (a) says that the qualification was erroneously issued by a registered and accredited or recognised education institution. It was therefore not clear how creating a register and entering the above information remedied the situation. The contemplated SAQA process in relation to misrepresented qualifications or part qualifications was arbitrary. It did not consider the audi alteram partem principle of natural justice. The process was not in line with requirements of a just administrative action embedded in South African law, which includes procedural fairness. Once SAQA had determined that a particular qualification was misrepresented in terms of its own process, it should not proceed to record the details in the register without providing a right to reply to the other party, to present their case and to challenge the SAQA decision. The IIE believed that the establishment of the register of misrepresented qualifications and part qualifications would have adverse consequences if the above issues were not addressed in the Bill. Individuals and education institutions would end up in the register(s) without a recourse to be removed from it or remedy if entered erroneously in the register(s), or an opportunity for a review of the SAQA decision, or to challenge such a decision. The IIE supported the remedy provided in section 65BA of the Higher Education Act as being the most appropriate remedy to deal with an erroneous award of a qualification or part qualification. The Bill needed to make provision for the reporting of a matter relating to a fraudulent qualification or part qualification for criminal investigation. SAQA, the QCs and professional bodies had a role to play in this regard generally, and education institutions specifically, in respect of their own qualifications. SAQA should incur the obligation to open cases with SAPS against the alleged holder of the fraudulent qualification or invalid qualification following a verification or evaluation process contemplated in section 7 at 32 A. Alternatively, the QC or the professional body may be required to open a case against such alleged holder of the fraudulent qualification or part qualification. The turn-around times for processing qualification checks and the associated capacity. Could the qualification checks be done by a third party supplier on behalf of the employer? Would Absa, as the employer, be notified of fraudulent results on checks that had been submitted? Absa’s additional comments/concerns were focused on Section 32A of the Bill, which states that employers must check whether a qualification was registered or not, and they were to check this from the learner records database. If the employer did not do so, they would need to refer the qualification to SAQA for verification. 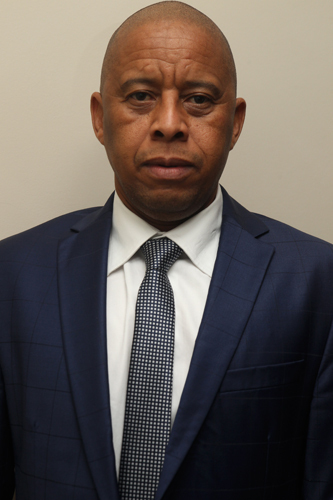 The bank said that in its previous comments, it had enquired about the timelines of such verification, as it was still not clear how long SAQA would take to verify a candidate’s qualification and advise the employer on the outcome of such a process. The answer to this question was quite important as, depending on what the timelines would be, it may have an impact on its recruitment and on-boarding processes. In addition, when sourcing talent, it competed with a number of potential employers, thus turn-around times for the recruitment and the on-boarding process was crucial to the success of the business. In order to balance both the interests of the legislator and that of the employer, Absa would need to ensure that the verification system/process could attend to requests both speedily and effectively, given the potential high volumes of requests that the promulgation of this law may create. With regard to section 32 A (b) of the Bill, which states that should a qualification be found to be fraudulent, such information would need to be reported to the relevant professional body as prescribed. In this instance, its request/proposal was that the applicable employer that submitted the request for verification also be informed by SAQA of the outcome of such verification, as such referral would have been made by the employer in compliance with the requirement by law. Mr N Khubisa (NFP) said that when dealing with third parties, did ABSA not think it would be a cumbersome process in the time delay aspect, to receive feedback. He wanted to know who accredited the third parties who accredited the individuals. Dr Bozzoli said she was going to raise a similar point. Who accredited the accreditor? However, in the long run it would be easier and more efficient to accredit the one Managed Integrity Evaluation (MIE) than to accredit thousands of individuals. Mr Van der Westhuizen said he found it extremely informative that ABSA were able to accredit over 47 000 qualifications, and he was taken back to a previous presentation which stated that it could become an administrative nightmare. He wanted to know, regarding the case where ABSA waited one month for feedback from SAQA, if it had been an exceptional time to wait and what the average waiting period was, as efficiency was affected by the time delays. The Chairperson wanted to know if ABSA thought it was fair to hold their one case test run with SAQA as an account of their overall waiting period and efficiency, as it was merely based on one case scenario. Dr Lewanika-Mpupuni, responded that the reason she had emphasised that this one instance was because this was the one time in which they had used SAQA, as they had a contract with MIE to verify qualifications of individuals. Her recommendations would be that this would be an important data point for the typical turn around turn for institutions with SAQA. On the use of third parties, they have had some good examples with their black economic empowerment (BEE) legislation, where they had parties that were now accredited and went through an accreditation process as people who could actually conduct that. Their proposal, because they fully supported the development of a registry, was that they would like to see a process that may or may not be drafted in the Bill, that assured ABSA that SAQA was not intending to take on the implications of enacting the legislation itself directly, because of all the operational deficits that could potentially be put into the system. A law that made it compulsory for employers who checked qualifications, to submit results directly to SAQA as an addition to the registry, could be an alternative solution. Insert SAQA into a legal problem for which the common law already had a solution. Would directly and negatively impact on already lengthy turnaround times. Would place an unreasonable burden on employers, institutions and individuals. Add an exceptional burden to the system, with multiple steps prior to achieving the objectives. Create legitimacy concerns where none currently exist. Contradict the Recognition of Prior Learning (RPL) policy of the State. It would create additional delays, not sustainable for employability and academic transfer. The current status requiring consideration involved the autonomy of institutions. Duplication of functions rendered the system sluggish and unresponsive. UJ had some specific concerns. Section 1 (c) required a declaration from “a court of law,” which was unnecessarily burdensome and did not address all cases. Section 1 (e) (b), where Quality Councils were responsible for standard setting, the ‘reclassification’ by SAQA was not clear. In Section 3 (a), the rationale for part qualifications was unclear, given its purpose. In Section 13 (a) (iv) and (vii), ‘verification’ was not currently practised in higher education (HE). Section 4 (e) included some characteristics were impracticable . For example, (b) referred to little or no attendance of class – what of Distance Learning (DL) modes? (f) precluded most general undergraduate degrees, while reference in (h) to “very short” was too vague. Section 4 (e) (1B) (a) raised questions about the legalities of the ‘name and shame’ approach – the modalities, who had access to the register, the appeals process, the time frames for removal of names, and the guilt presumed on the part of the holder. In Section 32A (1), the impact of this burden did not appear to have been considered, and it was unclear which categories were exempt. In Section 32A (1) & (2), the impact of the burden did not appear to have been considered. It was unclear which categories were exempt. The rationale needed revisiting – there was no international practice for the recognition of part-qualifications. In Section 32A (2), the word “opinion” was a ‘determination,’ and there was a need to know how the determination would be reached. It should be read in conjunction with Section 13 (e) (a) – (h). In Section 32 B, it was not clear who would be responsible for the management of offences listed from 1-7. Other concerns involved the historic qualifications, inaccurate data and records, and penalties imposed on students who may not know the invalidity of the qualification, and the identification of ‘complicity’ and ‘guilt’ – what the consequences and processes were. Role clarification was also required. Mr Van der Westhuizen wanted to know about the matter of class attendance. His interpretation of the proposed amendment was that it was one of the factors to be considered but did not need to be a “tick box thing.” Did UJ interpret it differently? Secondly, there was a lot of training that was not necessarily accredited but was very valuable, and he wanted to know what would happen to deal with situations where people claimed fraudulent training and work qualifications. Dr Bozzoli wanted to know if there was anything in the bill that UJ liked and if not, that was fine, as she was not mad about it either! Ms B Ndlovu (ANC) raised a concern that the provisions for short courses were apparently palatable to UJ, and she wanted substantiation on that point. The Chairperson asked about the legal problem which had been spoken about, where UJ had stated that a common law solution already existed. Elaboration was sought on the RPL and everything around that point. A point that worried her was whether UJ would nothing about any fraudulent activities, as it had stated that there would be a blame game and students would be singled out. She wanted to know under what circumstances it would become necessary for intervention and to appoint responsibility. Dr Menon responded that the current time line for the registration of an accredited qualification could take anything between six and nine months. They were constantly under pressure to be responsive through the provision of short courses. Currently in the higher education system, there was no accreditation process external to a university for short course provision. 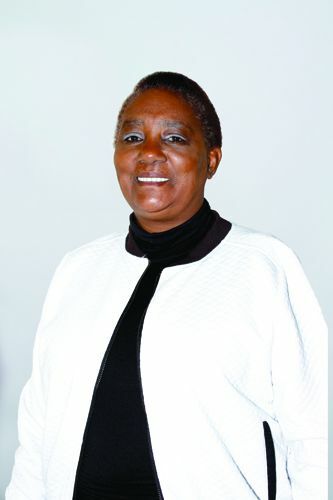 She explained that what UJ had done was to develop an internal quality assurance process and log, whereby part-qualifications and short courses were accredited within the university, and the certificates awarded clearly denoted that the certificate given was not a full qualification and a database was kept of that. This made it easy to provide verification to third parties when they sought information from the university. Regarding the autonomy of the university, she explained that universities had well and efficient registration processes for applicants. This amendment would require verification from SAQA, but they already had processes in place that enabled universities to verify new applicants. UJ had a contract with MIE, and had sometimes received feedback in less than the appointed 5-day turn-around time. Answering in her personal capacity to the question as to whether she liked the Bill or not, she said it was absolutely critical that there was a process in place, but what was being proposed was a mammoth task and needed more consultations, as there were critical aspects which still needed to be seen to. The Chairperson thanked the University of Johannesburg for their presentation. Ms Mchunu suggested that the Department of Higher Education should not comment on all the points raised today, but that they should rather present next week in order to be able to comment properly on the points raised today. The Chairperson stated that she had the same thought and had consulted the issue with the Department during the lunch break. and the Department decided to present next week in order to give a full and sufficient account of the points raised.